The basic categories of industrial conveyors are horizontal, inclined, vertical loop and closed-circuit installation. 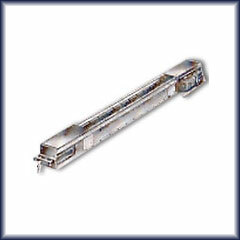 They have a tough chain conveyor which is specifically designed to bear heavy load and vigorous applications. They also bear a Curved section that allows lifting of heavy loads with ease. All components are jig welded -therefore, interchangeability is possible. Our conveyors are all strictly carbon steel construction that has an abrasion resistant divider plate and access panels that give strength and longevity to the conveyors. All our Conveyors come dust-free. We can customize the capacity according to the size of the operation or any other specifications made by our clients. The capacity also depends on the number of workers working there and their efficiency. The electric power usage depends on the capacity of the plant. 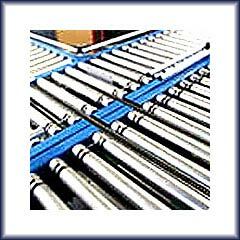 We offer a variety of screw conveyors like twin screw, screw feeders, paddle and mixing conveyors, right and left screw conveyors and rotary air lock valves etc. 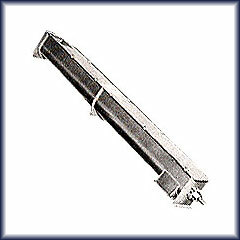 the screw conveyors that we offer come in simple designs and are easy to maintain. The width is small and allows the vent of the material at some points. It is of importance when extremely dusty, hot and pungent smelling materials are in use. It can be made dust free by covering up the trough. Material Handling Conveyors also called Roller conveyors are small metal tubes placed adjacent to each other and usually rotated by a mechanism beneath, enabling merchandise materials and pallets to be moved from one location to another under human supervision. Roller conveyors are reasonably flexible and can be set up to transport items around curves and up & down gentle vertical slopes. They are commonly used to move relatively large merchandise. Belt conveyors are widely used to carry load of bulk material along horizontal or inclined paths. They also carry light weight material from one spot of operation to another. They can be called the most commonly used conveying equipments. We manufacture various types of belt conveyors such as stationary portable and mobile conveyors that are capable of carrying high load to high extent of inclinations. The belt conveyor that we offer is equipped with AEC 100 Friction Driven Belt Bends which ensures positive transfer of various products from various packages to bins. It has the capacity to carry load up to 50kg at speed that ranges from 5m/min to 60m/min without changing the position of the product. • Comes with roller to make location and mobility easy. can happen due to direct contact. • Pressure rollers can be adjusted to reduce pressure. • Belt speed is from 30 to 100 FPM. • Travel direction can be reversed in units up to 100 feet in length and has a center drive. • Centers are 2.4", 3", 4" and 6", multiples may be provided according to specifications. • The spring loaded rollers are 1.9" in diameter by 16 ga. with 7/16" hex axles, on required centers. • Accumulation beds are available. 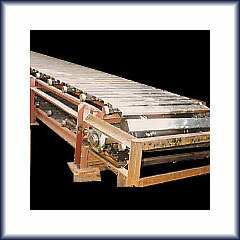 Slat conveyors are built with wood or metal slats attached to a single or double strand chain. In addition to carrying out operations, they may be used as a traveling platform, or a combination of the two. Many kinds of parts and packages can be carried light, heavy or bulky units on inclines as well as on the horizontal. Slats can be designed and shaped to suit the articles to be handled or the industry that it caters to. Slat conveyors can be applied easily to bring about a steady, orderly flow of material through a working unit or plant, eliminating confusion, promoting efficiency and effecting important savings in the expected cost. They are used to carry materials and pieces horizontally and inclined lines. 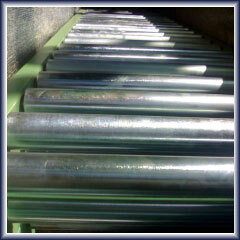 These conveyors are made of pans with uneven edges to keep a check on material loss. Our conveyors are flexible for adaptation to lifting loads from hoppers bins. They can be regulated by adjustment of a sticker plate at the entrance point. 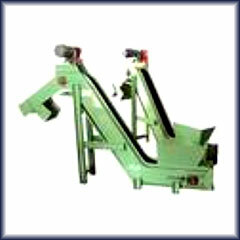 Our conveyors have a heavy handle, which can handle abrasive and hot material. It is capable of handling material up to 2000 per hour. It does not produce any noise while carrying the material. In case of extremely heavy objects instead of the belts, there are conveyor chains that connect the object to its rear end. Apart from this, the conveyor chain is also one of the fixtures on the conveyor system that is used in the mechanical functioning of the system. Like the conveyor rollers, the chain plays a major role in the mechanical functioning of the conveyor belt. Usually the conveyor control is directly linked or attached to the chain, and it is the speed of the chain that will determine how fast the entire process will finish. 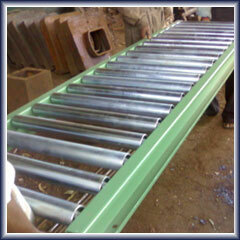 The conveyor chain is generally fabricated from metal. It is available in various qualities, shapes and sizes to suit various needs and requirements. In case the conveyor chain gets damaged at any given point, then it can be replaced. Ideally, the conveyor chain should be changed or serviced on a periodic basis, because any damage to the chain slows down the functioning of the conveyor. 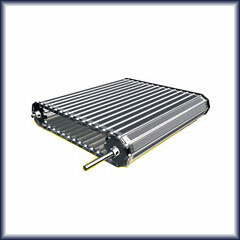 Advance Equipment Co. has supplied many types of Portable and stationary type of material loading / unloading conveyors. Conveying speeds range from 1 mtr/min to 25 mrts/min with top height adjusting feature. Many standard versions are available ready for shipment for your application. 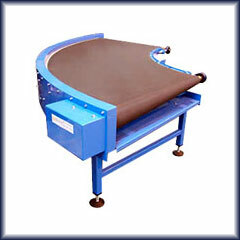 Many versions of product loading conveyors are made by us. These are used in assembly line for stocking the material in process and feeding automatically to next machine for further processing. These are known as loaders and construction depends on type of product, product size, loading capacity required. On receipt of proper data, these machines prove to be of enormous help in terms of increasing the production and reducing un-wanted manpower and cost. We make a wide range of Roller Conveyors classified as - Powered and non powered version conveyors using standard Precision bearings for heavy loads (250 kgs and above) and pressed bearings for lighter loads. It is similar to other categories of roller wheel. it is more effective where heavier items are being handled. 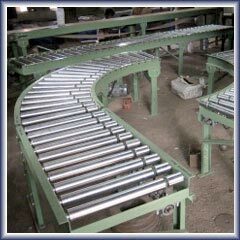 Roller conveyors serve in conveying pieces and goods horizontally or vertically. 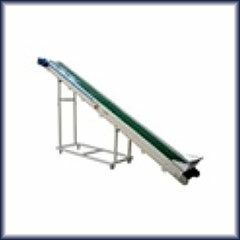 We offer a wide range of roller conveyors i.e. gravity driving accumulating, transfer conveyors through to peripherals control for medium to heavy load lifting. They are developed under expertise of technocrats. The advance construction techniques grant these conveyors the capacity to be an important part of any material handling system. They are essentially compatible and flexible. They are used extensively in large industrial conveyor systems .These conveyors are used when interruption in work process is essential or when the conveyed items are to be taken form one point to locations.